Click here now and vote for Jimmie in the Need for Speed Category. This year, he's up against fellow NASCAR drivers Dale Earnhardt. Jr and Danica Patrick, Formula 1 hotshoe Lewis Hamilton, olympic runners Usain Bolt and Allyson Felix, and olympic swimmer Katie Ledecky. 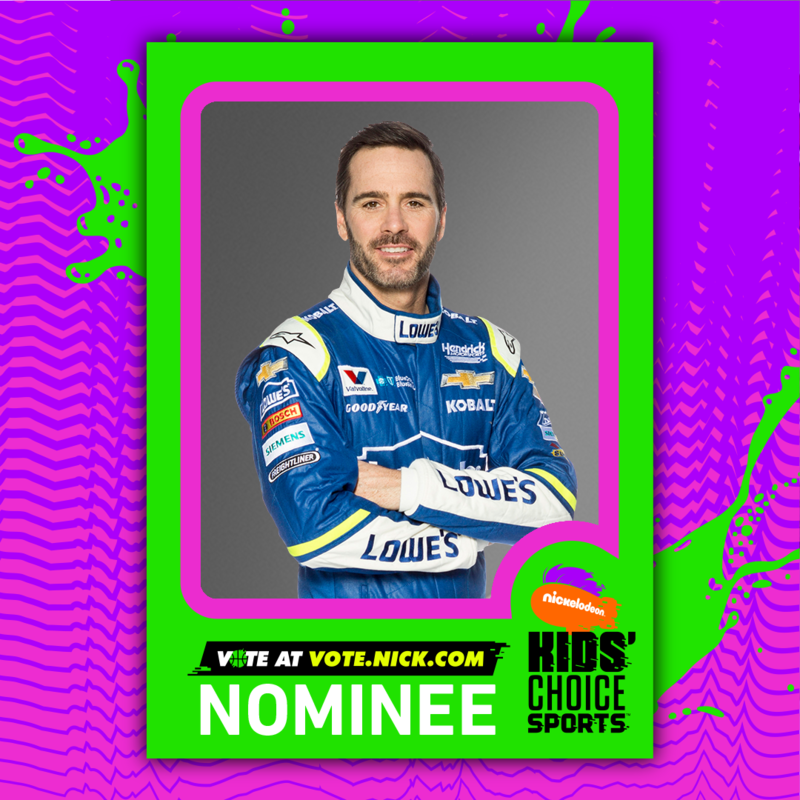 Be sure to tune in to the Kids Sports Choice Awards on Sunday, July 16 at 8 PM ET on Nickelodean to see if the kids chose Jimmie!